While fighting climate change and providing health care are both just too economically burdensome for America, members of the House believe there’s still enough cash to fund a space army that would fight off... the space enemies? The idea of preparing the US for war in space has found supporters off-and-on for several decades. Talk began to heat up again back in 2007 when China demonstrated an ability to destroy a satellite with a weapon from Earth. Earlier this year, military officials started beat the drum again, insisting that US needs space fortifications. It looks like they may get their wish. This week, the House Armed Services Committee voted 60 to 1 in favor of the creation of a new military branch to be called the United States Space Corps. The proposal is part of negotiations for this years National Defense Authorization Act. The annual military budget will have to pass a vote in the full chamber before it becomes official but the overwhelming vote in the Armed Services Committee bodes well for the space army’s chances of becoming a reality. The United States Space Corps would be the first new branch of the military since 1947, when the Air Force was formed. The current proposal would classify the USCC in the department of the Air Force in a way that mirrors the Marines classification as part of the department of the Navy. The Space Corps’ chief of staff would be ranked as equal to the Air Force chief of staff and would report to the Secretary of the Air Force. A bunch of guys in Congress who believe space carnage is on its way might be feeling positive about this military overhaul but not everyone in the military feels the same way. According to CNN, the Air Force’s secretary and chief of staff are opposed to the plan. 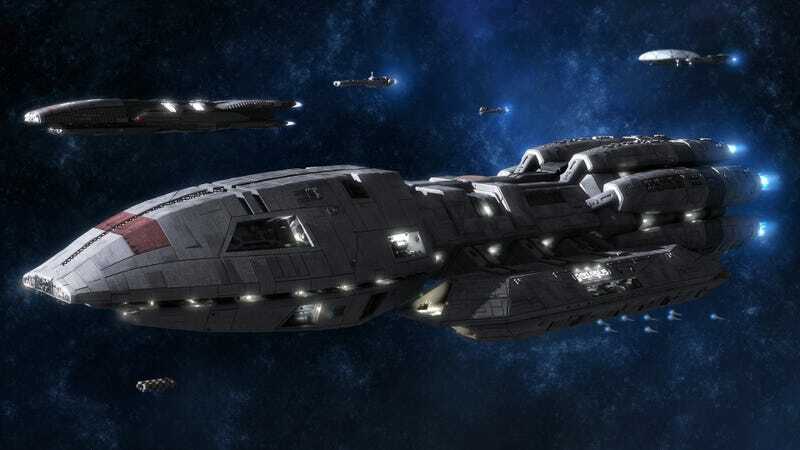 One reason is that we already have the Air Force Space Command and the military believes that the creation of the Space Corps would just cause more complications. Secretary Heather Wilson told reporters that “this will make it more complex, add more boxes to the organizational chart, and cost more money.” Wilson is currently fighting for budget increases and claims that the Air Force has become too small to accomplish what it’s expected to do. “If I had more money, I would put it into lethality, not bureaucracy,” Wilson said. At least one member of Congress has expressed doubts about the plan. Arizona Representative Martha McSally, a Republican Air Force veteran, said that more discussion is needed. “This is sort of a shocking way to hear about a very major reorganization to our military, and I think it deserves at least a couple hearings and discussions on the matter at the full committee level,” McSally told reporters. It’s really tough to say just how necessary it is to have an army dedicated to space warfare at the moment. On the one hand, we haven’t really experienced any signficant space aggression. On the other hand, the military can be very helpful in advancing technology and we do need to get off this rock at some point. On the other other hand, we’re facing an actual cyberwar that’s just getting started here on Earth and our president won’t even acknowledge it. Yeah, this is probably stupid.